Christmas is one of the most cheerful times of the year. Everything is festively decorated and the scent of fresh fir-sprigs is in the air. The whole family bakes tasty cookies or makes cute gingerbread houses which they enjoy together later on. Equally pleasant are walks around the numerous Christmas markets where you can enjoy spiced wine and do some last-minute Christmas shopping. On Christmas Eve, people and their loved ones all come together to celebrate Yuletide in a festive fashion. The Alpine landscape bringst he special magic at Christmas time. Due to it´s beutiful location, Garmisch-Partenkirchen is a popular holiday location. 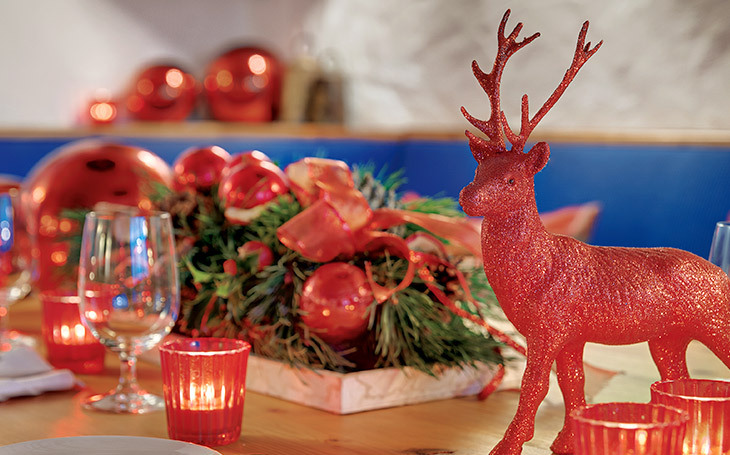 Our 4 Star Grand Hotel Sonnenbichl is the perfect location for your Christmas in the Alps with family and friends. Of course, a proper Christmas party also includes snow – Christmas simply wouldn’t be Christmas without it. 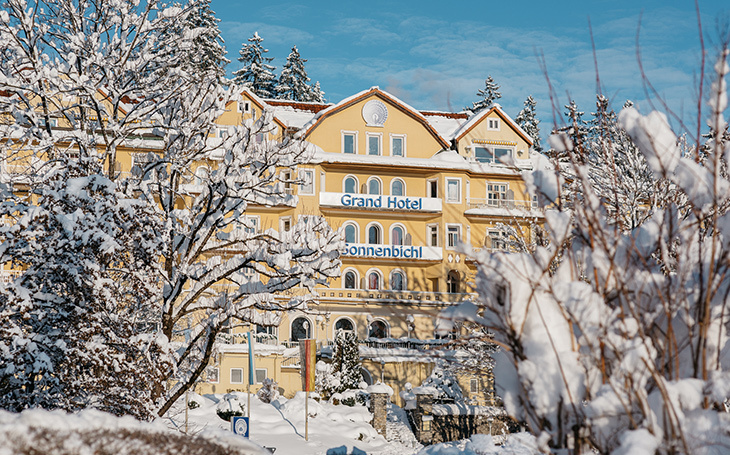 But as many parts of Germany often do not see snow at all, we extend you a warm invitation to spend a white Christmas in the Alps at the Grand Hotel Sonnenbichl. Garmisch-Partenkirchen is a very popular holiday destination during the Christmas season. The snow-covered alpine panorama enhances Garmisch-Partenkirchen’s very special flair. The lakes around the city regularly freeze over in winter and the majestic mountains in the background offer the perfect backdrop for ice-skating. And afterwards you can warm up again at the Christmas market. You can celebrate Christmas with colleagues at the Grand Hotel Sonnenbichl as well. If you wish, we will do all the planning for your company celebrations on St Nicholas’ Day or your Christmas party in Garmisch-Partenkirchen. On Christmas Eve and during the Christmas holidays, we offer our guests an all-round “Comfort” package. 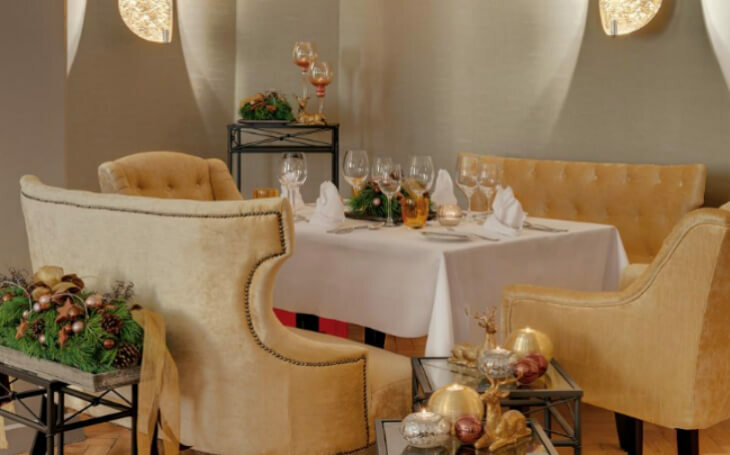 Join us on Christmas Eve at the Grand Hotel Sonnenbichl, where you can relax and lean back and simply enjoy the evening while waiting for your meal to be prepared. On Christmas Eve, in the Peacock Bar, we invite guests to a Christmas reception followed by a four-course menu.